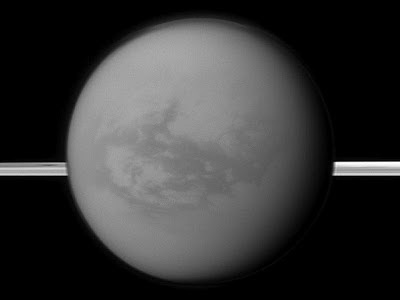 PASADENA, California – NASA's Cassini spacecraft has spied long-standing methane lakes, or puddles, in the "tropics" of Saturn's moon Titan. One of the tropical lakes appears to be about half the size of Utah's Great Salt Lake, with a depth of at least 3 feet (1 meter). The Cassini spacecraft was launched from the Cape Canaveral Air Force Station in Florida on October 15, 1997.